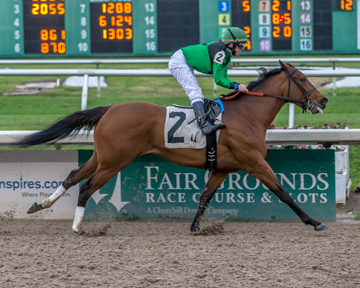 Believeinsomething won the $60,000 Red Camelia Stakes on Saturday, March 12, 2016 at Fair Grounds. 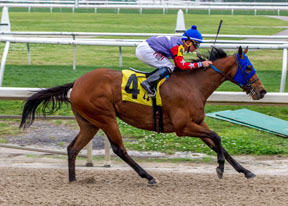 The four-year-old filly went straight to the front setting the pace and leading the entire trip for owner/trainer Brian Schweda. 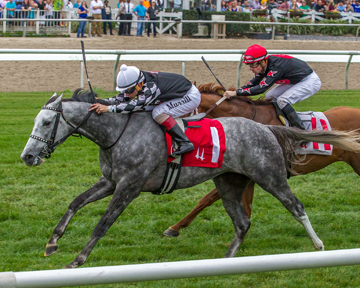 The Red Camelia, carded for 7 1/2 furlongs on turf was contested at one mile on dirt due to the wet course. Believeinsomething went a half-mile in 48.55 seconds, and was never seriously threatened, running out a three-length winner over Another Pinot. Safari Calamari was three lengths further back in third. The winning time was 1:39.55 on a fast track. 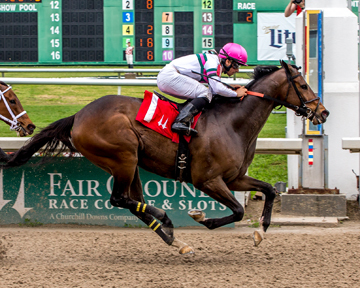 Believeinsomething (Etbauer-Ls Believeinmagic) was bred in Louisiana by Margie K. Averett. 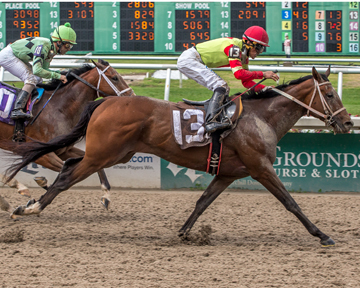 Previously placed in the 2015 Lookout Stakes at Delta Downs, her race record improved to 10-5-2-2 with earnings of $154,790.